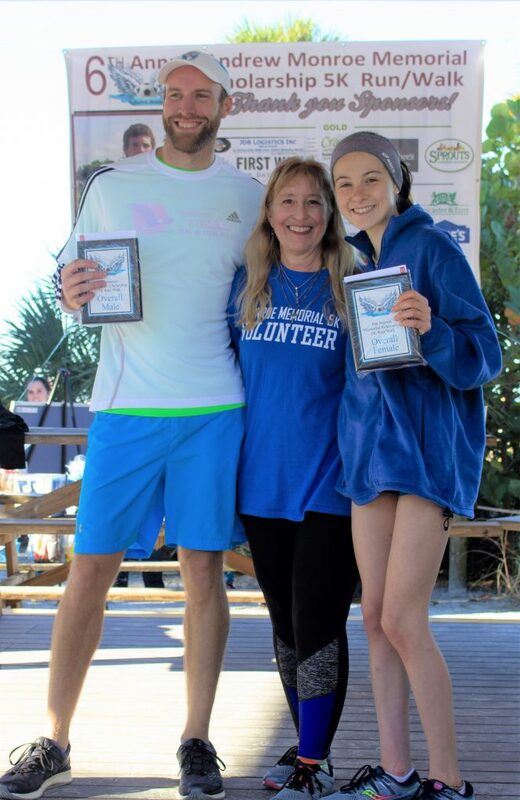 There were 385 participants that supported The Andrew Monroe Memorial 5k Run/Walk that was held on our beautiful White Sand Siesta Beach Sunday, January 6. The funds generated from this 5K and walk produce scholarships to senior soccer athletes at Riverview High School. Also, this year there will be two scholarships in the amount of $1400 a piece through the Sarasota Community Foundation Fund this fund will generate scholarships each year with no more funding. The overall winners for this event were as Corey Peyert, Male Overall and Emma Paliotta, Female Overall. Previous Previous post: Off Key!